Must I work this bit alone? This is a question I’d love to have more people ask themselves, asking it not in a general way, but with much more specificity, action by action, decision by decision. Who can give you your second opinion? Who can tip those aha! moments you have when you get stuck at work? Who can you bounce an idea off of, feeling free to question it, or laugh about it? Who might champion it with you, adding their unbridled enthusiasm to your own? Who can brighten your day in moments with their presence? More often than not, the answer to these questions will be, “Come to think of it, several people can.” You simply need to get out of your chair (or away from your work station, whatever the case may be) and go to them. Break your orbit and be more comet-like. An ‘Imi ola life — that ‘best possible’ life — is NOT a solo proposition. Another way to ask this collection of questions, would be, Where’s the Aloha? …and, Are you getting some, and giving some? One of the reasons I’m so bullish on The Daily Five Minutes, stems from the alarming trending I continually see in ‘digitally savvy’ workplaces toward solitary, independent work. I call this the “Downtown yet No Town” weirdness, because in my workplace visits, people will continually tell me how they feel the cubicle mentality still thrives, and is in fact, their world: They go to work each day, and sit at a workstation or in their office with nose to the grindstone as much as 95% of their day. Scary. And sad. Thanks to email, texting and social media (yes, I’m being sarcastic, for it’s no thanks), they aren’t even on the telephone much anymore. I push D5M with them because I know of its power in getting people together again, simply starting with getting out and about, to Hō‘imi — to actively look for those 5 minutes of found time when they can converse with another human being face to face. Forget all the D5M framing if you must — just talk to people more. A good number of managers look to solve this by focusing on team dynamics, and yes, by all means, keep group interaction dynamic and vibrant too. Have good huddles. Bring back the staff meeting. Learn to love projects. But understand that people may still feel they disappear in the chaos of a whole team: We all need one-on-one time. If you must choose one over the other, focus on improving your one-to-ones, whether with D5M or other kinds of in-person conversation. There is so much to be gained from collaborative work, starting with that simple act of asking another person for their opinion — their sharing of knowledge, with you. I love the line: Break your orbit and be more comet-like. 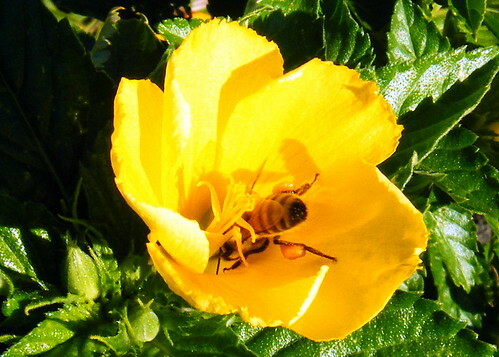 I am working on engaging honeybees, you can see some of the work at http://www.zinghive.com. 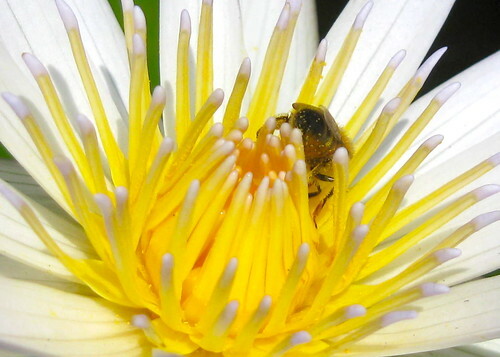 One interesting thing about honeybees is they are not as busy as we think (busy as a bee). They spend a majority of their time walking around or “doing nothing” in regards to tasks. Yet I believe the strength of their colony is based on all this walking around, waggling, watching, and interacting directly with one another. That means a lot coming from you. There is much about community that can be learned by these communal creatures with brains the size of a pin head but which expand to an entity of hive mind. Rosa: I loved this article as I am the person asking my self “all” those questions and it is exactly the interaction I miss and at the same time stay away from. I am going to try 5 minutes a day of DI and see where that leads me. David, interesting to me is that I found your comment here and regarding Bees. Huh? I have been thinking of Bees a lot lately, like for the last 6-7 months. You might say it is Kuleana that keeps them on my mind. I thought maybe I to might be able to have a hive. IDK if I could, but I do know that they are in trouble and I think to myself-what might I be able to contribute that might aid in changing this truth? I contacted a bee club here, they are an hour and a half away and only meet at night-always something-I do not drive at night. I live is a very rural/remote area. Anyways, it is good to read your words Rosa, and to have read yours too David. Good luck in your Honeybee hive work. Mahalo. Aloha Karen, and welcome to Talking Story, thank you so much for your comment. We’ve all heard that manage-better prompting of “managing by walking around” and I do think it applies to this concept of breaking free from our orbits too: We can self-manage by walking around and toward others who feed into our best energies. I’m sure it will make a difference for you. We may have something in common too, in connecting bee-keeping with Kuleana. It’s a compelling thought. I am not a keeper of the bees or have a hive. I work with a beekeeper. It seems the bees are keeping me more than I am keeping them and teaching me what I know not and puzzle over.